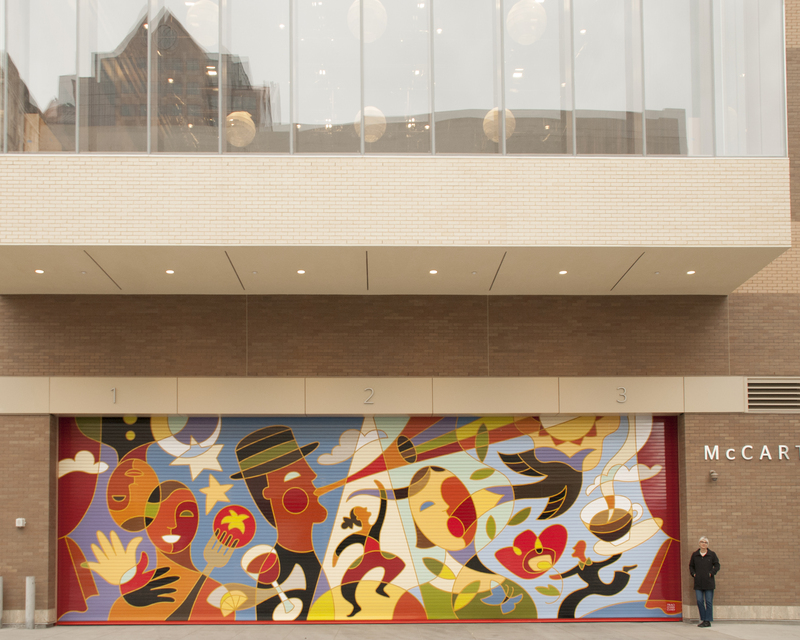 Located on the large loading dock door on the south side of the Eccles Theater, Traci O’Very Covey’s mural vibrantly asks the viewer to envision all of the possible art, dance, theater, and musical performances occurring within the walls of the new structure. This public art project was funded by the Redevelopment Agency of Salt Lake City. Special thanks to the Salt Lake Art Design Board, the Salt Lake City Arts Council, and Salt Lake City Corporation for their assistance with this project.